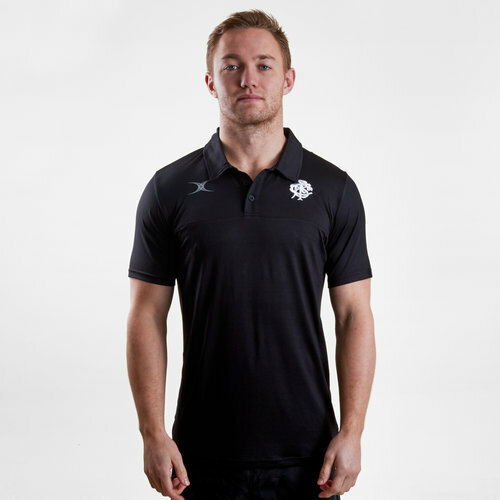 Cheer on the World’s most famous invitational rugby side when you pull on this Barbarians 2019 Pro Rugby Polo Shirt from Gilbert. 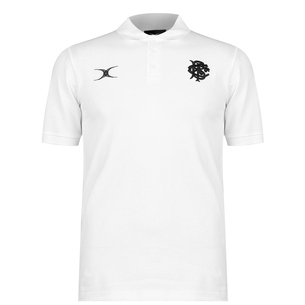 This pro tech polo shirt has been made from sweat-wicking fabric that manages moisture and has a soft hand feel finish. It is a modern fit shirt with a classic collar and 3 button placket. 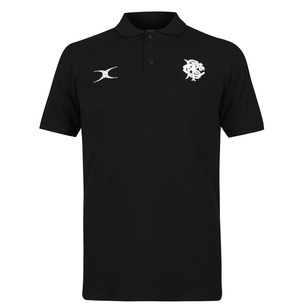 In a stylish black colourway the only colour on this shirt is from the team badge which is on the left side of the chest in white. The Gilbert logo is on the right.